Designed by Charles Wheeler, the interior of this Gothic Style church features spectacular stained glass windows, original woodwork, inspiring architectural and historical features, and a magnificent pipe organ. The building is designated as a Provincial and National Heritage Site. 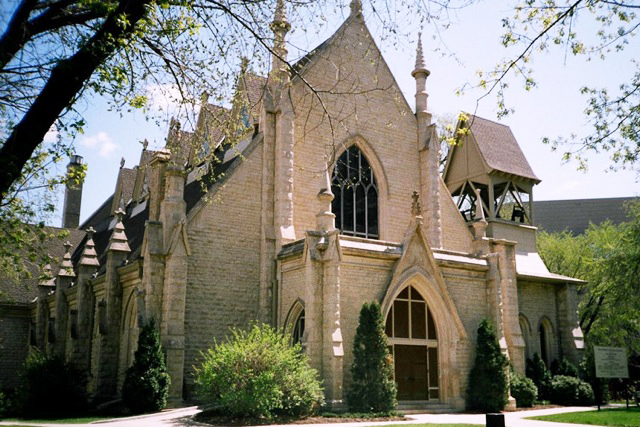 For over 130 years, Holy Trinity continues as a home of worship and an outreach Anglican community in the heart of downtown Winnipeg. Come and experience the sounds of our pipe organ and meet our amazing organist, Richard Greig. Please use the Donald Street entrance. Join us for Sunday services at 8:00, 9:45 or 11:00am. Guided tours will start at 11:30am, lasting 30 minutes.